The Type 2 diabetes drug Avandia was at the center of one of the biggest drug-safety scandals in recent history. Once a blockbuster drug, the medication was all but pulled from the market after people who took it experienced heart problems. The U.S. Food and Drug Administration imposed restrictions on its use but later removed them. The drug is still available in the United States. The U.S. Food and Drug Administration approved Avandia in 1999 to treat Type 2 diabetes along with diet and exercise. It is part of a class of drugs known as thiazolidinediones, or glitazones. The class also includes pioglitazone, which is sold under the brand name Actos, and Rezulin (troglitazone), which was withdrawn from the market in 2000 at the FDA’s request. Rosiglitazone maleate, the drug’s active ingredient, is an “insulin sensitizer.” It makes Type 2 diabetes patients more sensitive to insulin, which helps them better maintain safe glucose levels. The drug does not cause the body to make more insulin. It is designed to improve the way the body uses insulin by decreasing the amount of glucose the liver releases. Some brands combine rosiglitazone maleate with other antidiabetic agents. For example, Avandamet combines the ingredient with metformin while Avandaryl combines it with glimpiride. The typical starting dosage for Avandia is 4 mg per day, which may be taken in two 2 mg doses. The maximum dosage is 8 mg per day. With dose increases, doctors should carefully monitor for signs of fluid retention, which can lead to heart failure. Patients can take the drug with or without food. The medication may interact with CYP2C8 inhibitors and inducers. Inhibitors, such as gemfibrozil, may increase levels of rosiglitazone in the body. Inducers, such as rifampin, may decrease rosiglitazone levels. These interactions can alter the effectiveness of the medication. The drug may also interact with medications that affect patients’ blood sugar levels, including insulin. Most people who take insulin should not also take rosiglitazone. For this reason, people with Type 1 diabetes should not take this medication. It is also not intended to treat diabetic ketoacidosis. People who show signs of active liver disease should not take rosiglitazone maleate. The drug’s label advises doctors to check liver enzymes before starting a patient on the medication and from time to time throughout treatment. People should not start taking the drug if they have higher than normal liver enzyme levels. 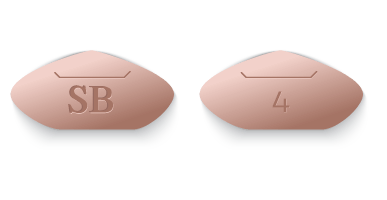 Children, pregnant women, and adults with liver disease, heart failure, Type 1 diabetes, diabetic ketoacidosis or allergies to any of the drug’s ingredients should not take Avandia. The drug’s label cautions doctors not to prescribe the medication to people with established New York Heart Association (NYHA) Class III or IV heart failure. People with a history of allergic or other reactions to rosiglitazone or any of Avandia’s ingredients should also avoid taking the drug. Medical professionals do not know the effects of taking the medication during pregnancy. Let your doctor know right away if you become pregnant. The prescribing information urges women to speak with their health care providers about the best way to control their diabetes during pregnancy. You should not breastfeed and take Avandia. Women who have not gone through menopause and who don’t have regular monthly periods may have a higher chance of becoming pregnant while taking the medication and should discuss birth control options with their doctor. The FDA approved the drug for use only in adults with Type 2 diabetes. It’s unknown whether rosiglitazone is safe and effective in children younger than 18 years. Avandia carries a black box warning, which is the FDA’s strongest warning, about a risk for new or worse congestive heart failure in some patients. But the most common side effects, those experienced by 5 percent or more of participants in clinical trials, include headache and upper respiratory tract infection, according to the drug’s label. The Warnings and Precautions section of the prescribing information also lists several less common but serious side effects of Avandia. Some people may be at greater risk for side effects associated with rosiglitazone and should not take the drug. Share your medical history with your doctor and let him or her know of all the medications, vitamins and herbal supplements you take. Patients already on Avandia should not stop taking the drug as prescribed without first consulting a doctor. In 1999, Avandia’s manufacturer SmithKline Beech, which later became GlaxoSmithKline (GSK), conducted a study that compared the drug to its competitor Actos. The study looked specifically at risks for heart patients. Rather than publish the results, the manufacturer tried to bury them. But a legal settlement between the manufacturer and the state of New York in 2004 required the drug maker to post details about all of its clinical trials, including those for its new blockbuster diabetes drug. The release led to studies that revealed risks and set off a chain of events that ended in government action including fines and penalties and restrictions on the drug. The manufacturer also paid roughly $770 million to settle more than $16,200 individual Avandia lawsuits between 2010 and 2011, and the company set aside $3.4 billion to pay for future litigation and settlement costs related to the drug. Using manufacturer GlaxoSmithKline’s own published data, cardiologist Steven Nissen completed a study that showed Avandia increased heart attack risk by 43 percent. His peer-reviewed article appeared in the June 2007 issue of The New England Journal of Medicine. In light of the two studies, the FDA in November 2007 required GlaxoSmithKline to include a black box warning about heart risks on the drug’s label. The Archives of Internal Medicine published a non-randomized analysis of mortality data among elderly patients in November 2008. The analysis found an increased risk of congestive heart failure in patients taking rosiglitazone compared to those taking Actos. A different analysis published in June 2010 in the Journal of the American Medical Association also compared the two drugs and found similar results. Researchers reported an association between taking rosiglitazone and “an increased risk of stroke, heart failure, and all-cause mortality.” The authors also reported an increased risk of a combination of those conditions in patients 65 years old or older. In September 2010, the FDA reacted to studies of heart risks by unveiling a Risk Evaluation and Mitigation Strategy, or REMS, for the drug. The REMS placed severe restrictions on the drug’s sale to only those people already taking the drug and to new patients who could not control their Type 2 diabetes with any other medications. It also imposed other strict rules on the drug’s use. The FDA restricted Avandia use in 2010 after studies linked the drug to increased risk of heart attacks. In order to continue prescribing and receiving the drug, doctors and patients were required to enroll in the Avandia-Rosiglitazone Medicines Access Program. The FDA banned the drug from retail pharmacy shelves. It could only be purchased through specific certified mail order pharmacies. The same day as the FDA announcement, the European Medicines Agency revoked the drug’s license and banned its sale on the European market. The FDA had held hearings in July 2010 to evaluate the drug’s safety. Although the panel determined rosiglitazone increases the risk of heart problems compared to other diabetes drugs, it was divided over removing the drug from the market. But the FDA continued to monitor the drug’s safety, and in 2013, the agency did an about-face and removed the restrictions. “Although some scientific uncertainty about the cardiovascular safety of rosiglitazone medicines still remains, in light of the new re-evaluation of the Rosiglitazone Evaluated for Cardiovascular Outcomes and Regulation of Glycemia in Diabetes (RECORD) trial, our concern is substantially reduced and the rosiglitazone REMS program requirements will be modified,” the FDA said in a statement. The FDA said the events leading up to the restrictions had revealed significant holes in the agency’s oversight of prescription drugs. The FDA instituted new rules that require companies to prove new diabetes drugs don’t cause heart injuries. In 2015, the FDA said it had “identified no new pertinent safety information,” and the agency eliminated the Risk Evaluation and Mitigation Strategy for Avandia all together. The agency said the REMS is no longer needed to ensure that the drug’s benefits outweigh the risks. Because restrictions in the United States limited rosiglitazone as a drug of last resort for treating Type 2 diabetes, doctors prescribed other medications first. 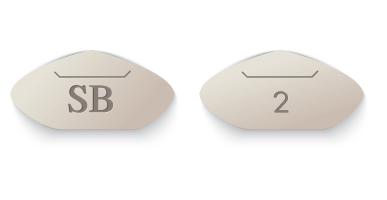 Several potential alternatives to Avandia are available including at least one other medication in the same class. Actos is the only other member of the thiazolidinedione family approved in the United States, making it the most similar drug to Avandia. Its pros and cons are similar, too. Actos has been linked to an increased risk of heart failure and bladder cancer. Glucophage’s main effect is to suppress glucose production in the liver. Metformin has been used and tested in humans since the 1950s and is relatively inexpensive. It may also be used in combination with certain other diabetes drugs or with insulin.